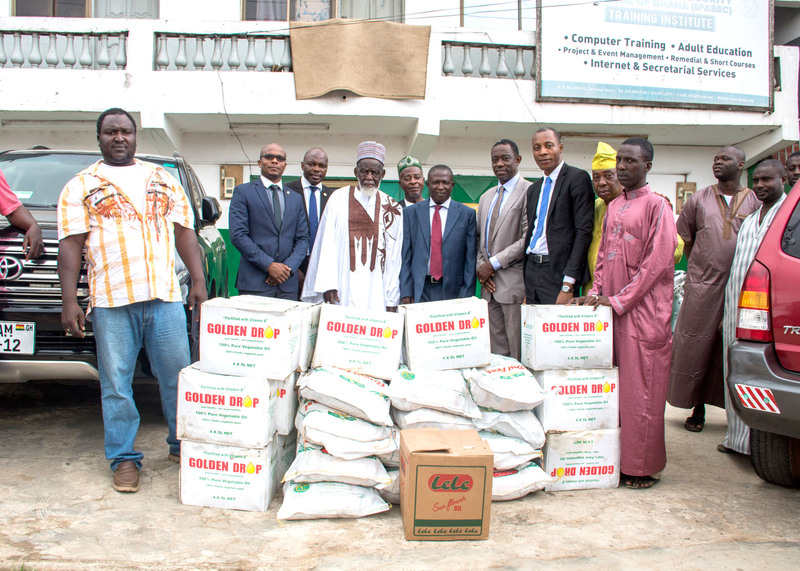 In keeping with the tradition of the Bank, Sahel Sahara Bank once again donated some food items including bags of rice, gallons of cooking oil and hampers to various Muslim Communities and some of its cherished customers across the Country. Some of the communities that benefited from this generous gesture included Alabar (Kumasi), Nima, Madina and Tamale. The bank also extended its support to the National Chief Imam when it presented similar items. At a short but colorful presentation ceremony at the residence of the National Chief Imam, Mr Muhammed Najib, Head of Audit and Inspection Department of the Bank who spoke on behalf of the Managing Director mentioned that, the Bank was pleased to be associated with the Muslim Community especially during this Holy Month of Ramadan. He added that the presentation was to support the National Chief Imam and the Muslim Community during upcoming Eid ul Fitr celebrations. The National Chief Imam was overwhelmed with joy and thanked the bank for the generous gesture. He also prayed for the Blessings of Allah for the bank and its Staff.